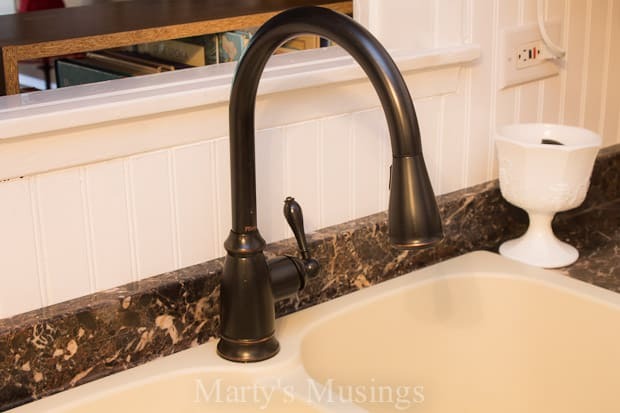 This detailed tutorial on how to replace a kitchen faucet includes practical tips and step by step instructions from a DIY homeowner and blogger. 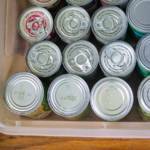 A humorous look at an unpleasant but necessary task includes what to do and what NOT to do! Disclosure: I was provided with product from Pfister but all opinions are my own. 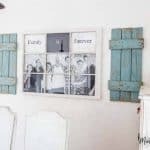 When we found out that my DIY hubby was going to have rotator cuff surgery in December he and I got on the ball and finished up the rest of the remodel on our very outdated kitchen. 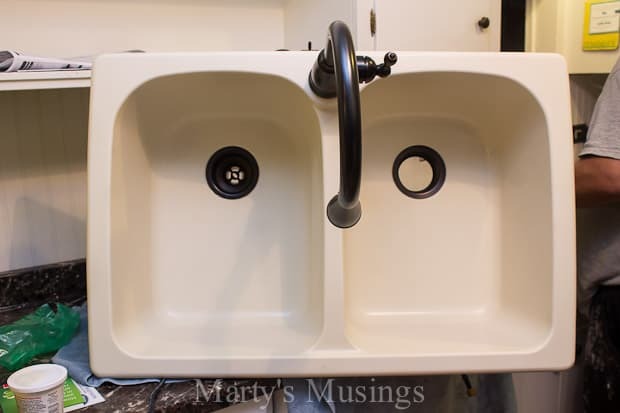 A few days ago Tim shared a tutorial on installing the kitchen sink and today he’s here to show you how to install the faucet. Against my better judgment, here’s a before pic. Ewww. Gross. Like most everything else in our kitchen it had seen better days…..about 20 years ago! It was just your basic generic, cheapest one at the store, faucet. And it dripped, for about the last six months. And had a little shim under it to keep it from moving. It was not a pretty sight. 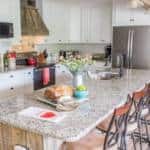 After we remodeled our small bathroom and bought oil rubbed bronze fixtures I knew I wanted to do the same thing in the kitchen. I couldn’t be more pleased with how it turned out! 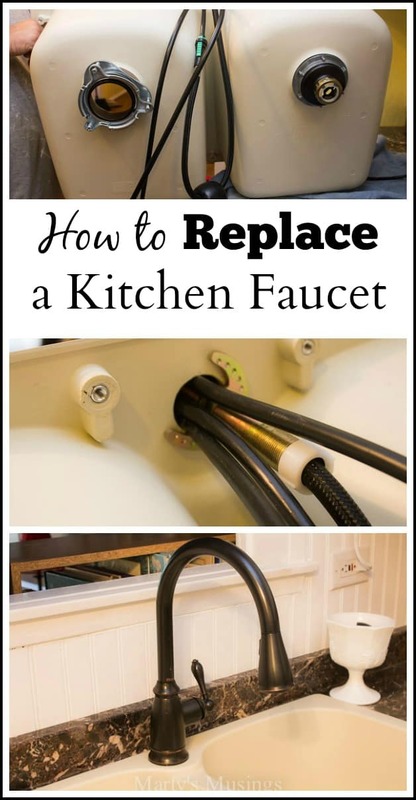 Here’s Tim to give you all the details on how to replace a kitchen faucet. Tim: I hate plumbing. Really. I’d rather slide down a fifty foot razor blade into a boiling pool of hydrogen peroxide. More often than not, the closest I get to it is the cell phone…so I can CALL the plumber! So the idea of installing an updated kitchen faucet in a brand new sink on brand new counter tops had me reaching for a Xanax. But I must tell you, this was a WALK IN THE PARK! Not only was the Pfister Canton Pull-Down Kitchen Faucet very well designed and manufactured from high quality components, it was brilliantly mastered for ease of installation. Honestly, you almost don’t need the instructions! Anyway, here’s where we were headed with the new faucet. 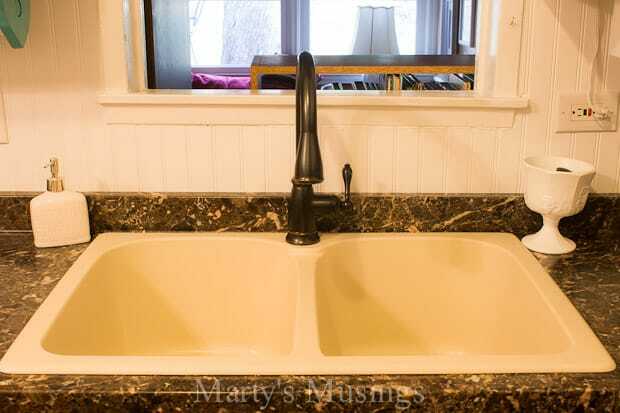 I had set the new sink in just to make sure we were clear all the way around, settled in the opening, with the existing water and drain lines unobstructed. Believe me, this is NOT where you want to do most of your work! I pulled the sink back out and installed everything possible, including the drain assemblies. 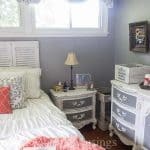 Most of the under-sink spaces I’ve seen (and had the misfortune of working on) are very tight and more suited for Tinker Bell instead of Shrek. So doing all this with the sink pulled out is definitely the way to go. Here’s a look at the underneath, and you can easily deduce that this access is much preferred! FYI – the left drain (as you look here) is garbage disposal and the right a normal drain, hence the difference in flanges. 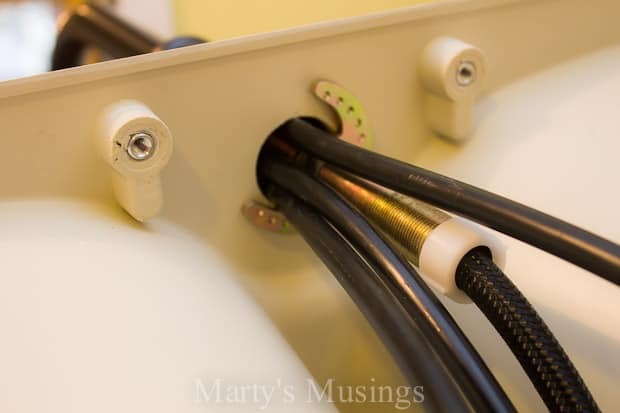 The pull-down connections are all made on PVC tubing, so there is plenty of both flex and length if you need it. The connections themselves are genius! 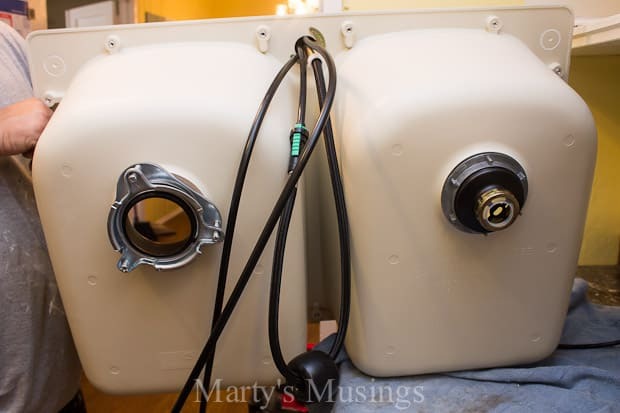 Very easy quick connect feature, threaded collars for the hot and cold connections, and a weight to counter-balance the pull-out spray feature. The crescent-shaped piece at the top anchors everything in place to the central threaded brass rod and a uniquely designed tool, provided, tightens it all together. 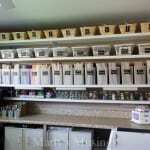 The really was an amazingly simple process…no Xanax required! 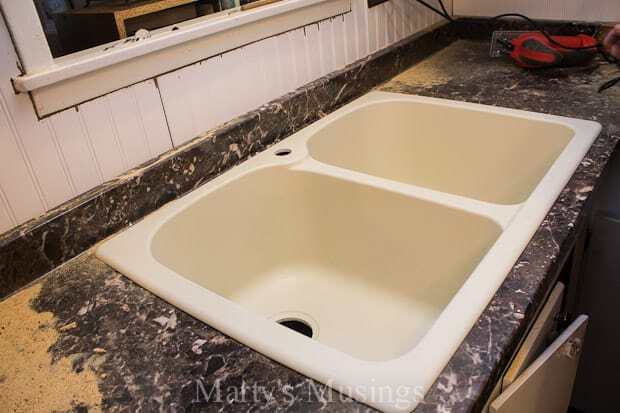 Drop the sink back in the hole (see our previous post! ), make the connections underneath, and enjoy. I won’t bore you with the gory details down there, because it did involve one more trip to the plumbing store and a few pauses for figuring it all out. But even that went better than anticipated. 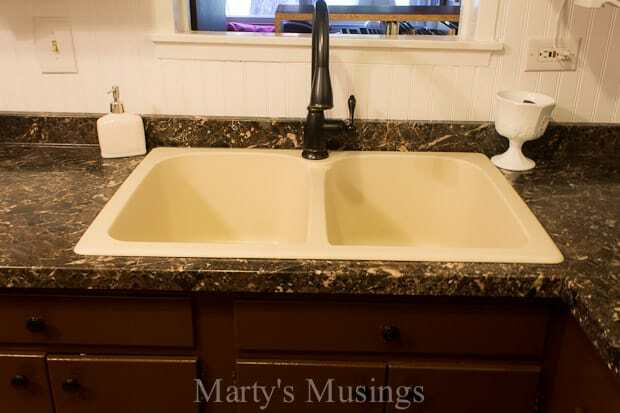 And here’s the finished project; sink, counter tops and faucet! This is our first deep-well sink, as well as our first pull-down faucet. We couldn’t have been more pleased with the Pfister product! Marty: I have to tell you my eyes glazed over as my husband described the steps above on how to replace a kitchen faucet. He is so good at explaining, but my area of expertise is NOT putting things together. I think I must not have had any Legos to play with when I was little. Seriously, though, I love my new sink and faucet ’cause y’all know DIY is my love language! 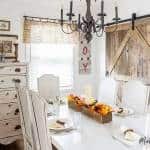 He did a great job on this half of the kitchen and I’m working on accessorizing and sharing a final reveal. With just a few updates our kitchen has come into the 21st century! Available in Tuscan Bronze finish, the Pfister Canton Pull-Down Kitchen Faucet offers 3 spray options accessible with a touch of button. You can read all about it here. Wow! Your new sink looks fab-u-lous! And you made it look so easy to do. I’m inspired! Thank you, Jo! My email reply wasn’t working but I’m glad you liked our new sink and faucet! We do, too! Thank you! What a timely article. 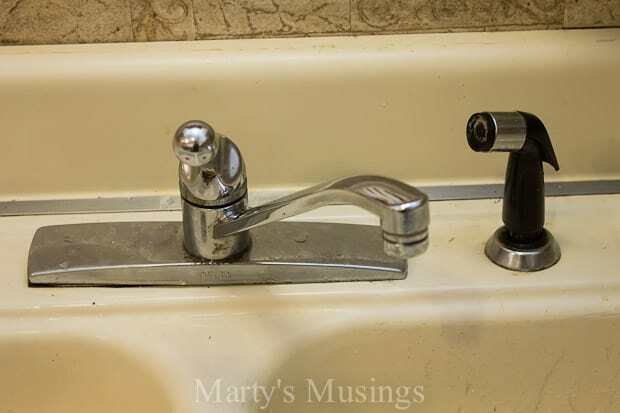 I’m moving into a new apartment next month and am going to replace the gross faucets with my own.